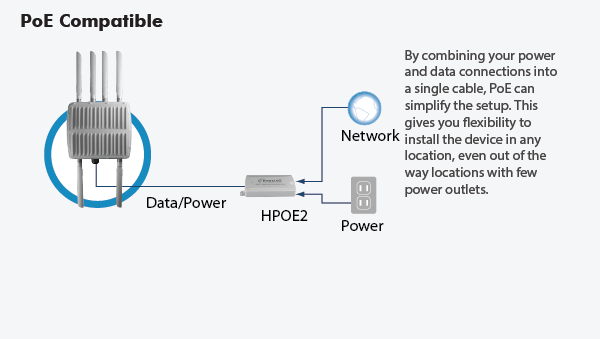 Flexibility to Install a PoE Enabled Device Anywhere! 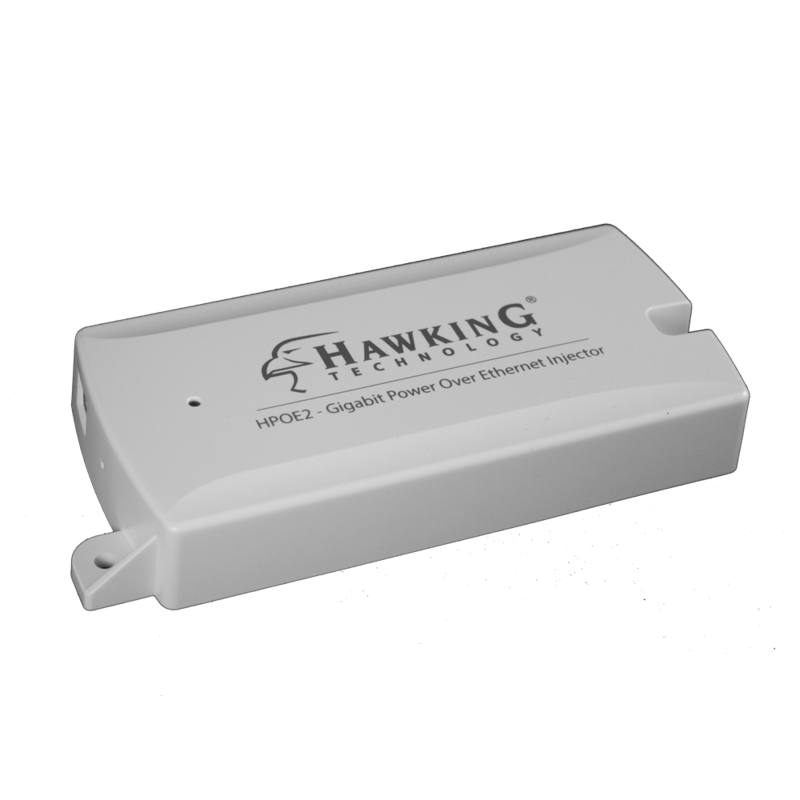 The HPOE2 is a Power over Ethernet Injector. 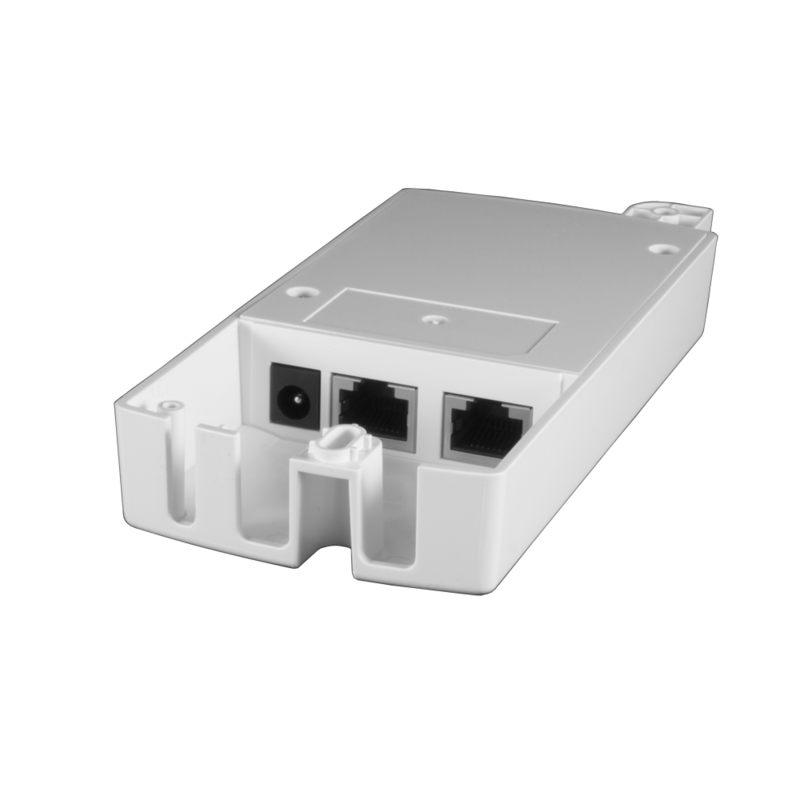 It provides the most convenient and easy plug & play solution for your Power over Ethernet application. Do not worry about how to find a power outlet when using Wireless Access Points, IP Cameras, VoIP phones or other Power Over Ethernet Devices. You can easily deploy in any Power over Ethernet-enabled device and networking environment. Gigabit network speeds provide the fastest wired networking speeds available. 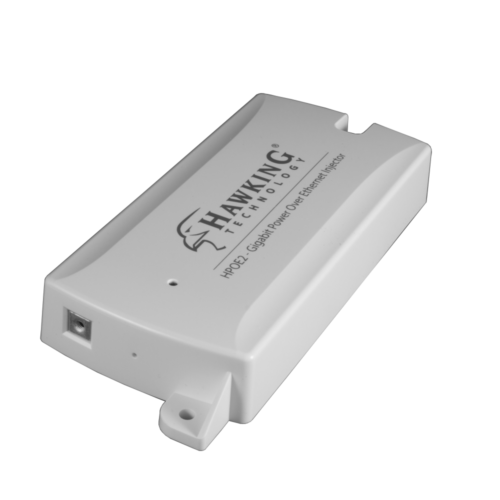 Simply plug the HPOE2 into your device’s ethernet power port. Then, plug the ac adapter into a wall outlet. That’s it. The HPOE2 will supply power to your device. 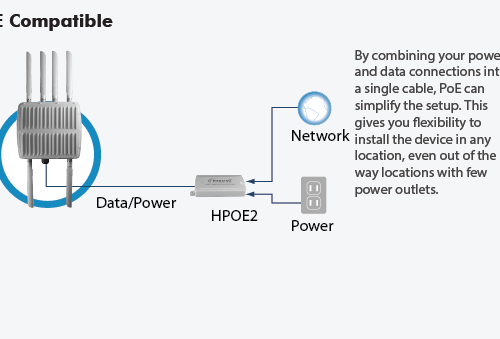 The HPOE2 also provides a passthrough port, so your device can be wired back into your network if needed. Typical maximum length of cat6 ethernet cable is between 100-300 feet. Cat5 ethernet cable is supported but maximum length will be shorter. Includes a Grounding Terminal and device can be secured to lock ethernet cables to prevent tampering. 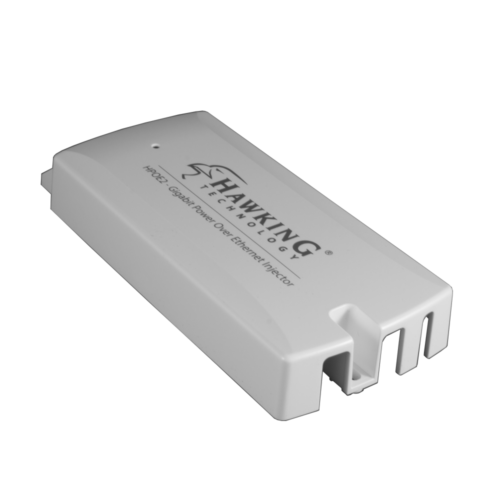 The HPOE2 is NOT weather proof and should be placed indoors or in a weather proof container.